This essay examines the topic of police brutality through the lens of disproportionate violence against unarmed African Americans. The paper focuses on the development of the Black Lives Matter movement, including the movement’s goals, as well as the public response to the movement. It also focuses on the Blue Live Matter movement, and the violent attacks on police officers, which have been in apparent retaliation against police violence. The paper begins by defining police brutality. Next, it discusses how racial discrimination in the criminal justice system results in African Americans being disproportionately targeted for police brutality. It goes on to discuss the formation of the Black Lives Matter movement. Then, it discusses the ambush-style killings of police officers at a Black Lives Matter movement rally in Dallas, Texas. Finally, the author discusses whether the Black Lives Matter and Blue Lives Matter movements are in conflict, or whether that conflict is a myth perpetuated by those who want to encourage continued ill will between the African American community and the police. Police brutality is a difficult concept to define because police officers hold a very unique position in American society. Police officers are the only individuals in the United States authorized to use reasonable force against United States citizen civilians in the routine exercise of their duties. No other people in the United States, including non-police members of the armed forces have the right. Police officers may legally physically use reasonable force to stop and apprehend criminal suspects, and are given broad discretion in determining what force is reasonable. Police brutality is “the use of excessive and/or unnecessary force by police when dealing with civilians” (Danilina, 2016). 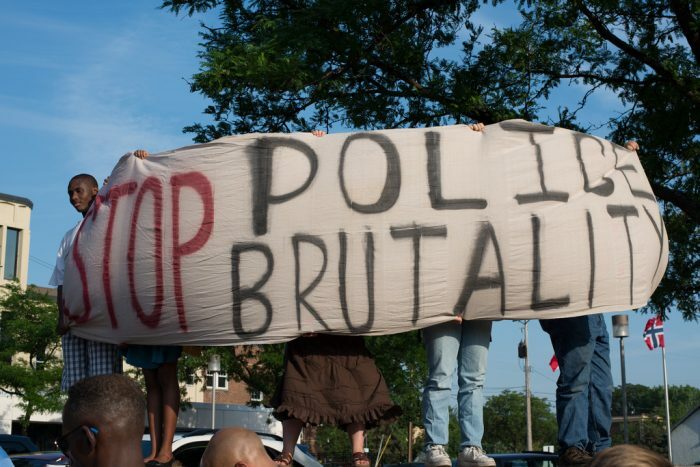 While the legal definition of police brutality seems as if it should be clear, is has proven far more difficult to eliminate the connotations that surround the term and impact how it is applied. Those who are against what they see as a militarization of modern policing may suggest that any heavy-handed approach by the police is an act of police brutality, even if the action does not include excessive or unnecessary force. On the other hand, those who suggest that police are at an increased risk of victimization by violent criminals are often reluctant to label even overtly violent or aggressive acts by officers as examples of police brutality. From a public policy perspective, it seems clear that the pro-policing advocates are having more success with their position: officers who use violence against unarmed and non-violent suspects are rarely charged with and even less frequently convicted of underlying criminal offenses. While people claim there is a war on cops, the facts do not support this claim; not only are there already enhanced punishments for offenders who assault or kill police officers, but also police officers who use violence against unarmed and non-violent suspects rarely face criminal punishment for their actions. While racial disparity in the American criminal justice system is not the same issue as police brutality, it is a closely related issue. African Americans are far more likely than non-blacks to have interactions with police officers. For example, although blacks and whites self-report using drugs at approximately the same rights, blacks are approximately three times as likely to be arrested for marijuana usage than whites (American Civil Liberties Union, 2016). These disparities exist at all levels of the criminal justice system; African Americans are more likely to be investigated by police, arrested, charged, convicted, and receive longer sentences than non-black offenders (Nellis et al., 2008). While evidence of racial discrimination in the criminal justice system does not, on its own, suggest that African Americans are also disproportionately victims of police brutality, it does suggest that, through more frequent contact with the police than non-blacks, African Americans are at greater risk of being targets of police brutality. While police brutality has plagued law enforcement since its inception, it has often been hidden and ignored. However, the prevalence of cell phones cameras and the ease with which citizens can record such actions has made it much more difficult to ignore police brutality. In fact, the modern debate over police brutality was prompted by footage of the killing of an unarmed African American teenager, Mike Brown, in Ferguson Missouri. On August 9, 2014, Michael Brown, was shot repeatedly by a white police officer, Darrell Wilson (Clarke and Lett, 2014). While witnesses disagreed about whether Brown or Wilson was the primary aggressor, cell phone video footage showed Brown running from Wilson. In addition, Wilson did not observe Brown breaking any laws that would have authorized an arrest, though Brown was jaywalking when the altercation began. No immediate action was taken against Wilson and the city of Ferguson responded initially with peaceful protests. However, rioters began to flock to the scene, and the city of Ferguson responded by using military-style weapons on the crowds and by repeatedly violating the First Amendment rights of protestors and the press who had gathered to document the protests. “On Aug. 13, 2014, police in Ferguson, Missouri, assaulted and arrested two journalists for allegedly failing to exit a McDonald’s quickly enough while on a break from covering the protests” (Sandvik, 2014). Although the prosecutor presented the case to the grand jury, they refused to indict Wilson, which resulted in renewed protests. While Alicia Garza, Opal Tometi, and Patrisse Cullors created the Black Lives Matter movement in response to George Zimmerman killing an unarmed Trayvon Martin as the teenager walked through his father’s neighborhood, it came to national prominence during the events in Ferguson (Garza, 2016). According to its founders, Black Lives Matter is an “ideological and political intervention in a world where Black lives are systematically and intentionally targeted for demise. It is an affirmation of Black folks’ contributions to this society, our humanity, and our resilience in the face of deadly oppression” (Garza, 2016). The Black Lives Matter movement has been active in protesting police brutality against members of the African American community, and has been falsely accused by detractors as promoting violence against the police. None of the movement’s founders or leaders have ever advocated violence against the police, and none of the vigilantes who have used retributive violence against the police have been members of the Black Lives Matter movement. While police brutality did not disappear, the issue faded from the forefront of the American news cycle until the summer of 2016, when three separate murders of unarmed black men by police officers were captured on cell phones. On July 4, 2016, an off-duty police officer shot and killed Delrawn Small in a road-rage incident (Daily News, 2016). On July 5, 2016 police officers in Baton Rouge killed an unarmed Alton Sterling (Lau & Stole, 2016). Then, on July 6, 2016, Philando Castile was shot in the head by a police officer as he reached for his wallet to show his identification during a routine traffic stop (McLaughlin, 2016). As one might expect, this series of seemingly unprovoked killings of African American males by police officers left the African American community devastated, and prompted a series of rallies and protests against police brutality. The immediate response by some, though not all, people was to criticize the Black Lives Matter movement and to respond with the derivative Blue Lives Matter logo. This Blue Lives Matter movement gained unexpected momentum when a lone individual opened fire on police officers at a Black Lives Matter rally in Dallas, Texas on July 7, 2016. The shooter killed five officers, wounded others, and wounded civilians in the crowd (Fernandez, et. al, 2016). On July 17, 2016, a gunman shot and killed three police officers in Baton Rouge (Visser, 2016). Both shooters were African American males and the attacks were apparently in retaliation for the murders of unarmed African Americans by police, which prompted many to characterize the actions as a race war and emphasize the importance of protecting police lives. However, while it should go without saying that police officers deserve to be protected while in the lawful execution of their duties as police officers, the fact that two criminals planned and executed deadly attacks on police officers should not be seen as an excuse or justification of police brutality against the African American community. First, not only were these criminals not acting on behalf of any social activist group like Black Lives Matter, they were certainly not acting on behalf of the black community as a whole. Furthermore, other criminals have previously planned attacks on law enforcement officers without calls for retribution against their race, as whole. In fact, the majority of assailants and killers of police officers in America are white males. In addition, the risk that criminals will engage in violence against a police officer is one of the inherent risks of entering into a career in law enforcement. Despite that risk, police officers have faced a declining risk of being murdered or assaulted on the job since the 1970s. While these two attacks have been very high-profile and have led many people to believe in the rhetoric that there is a “war on police” being waged by the African American community, the reality is that police officers deaths have experienced a dramatic decline since the 1970s and that blacks are not the offenders in the majority of those homicides. Does the fact that police officers are not facing an increased risk of death mean that blue lives should not matter? Of course not. However, if one looks at existing laws and policies, it becomes clear that blue lives already matter. Not only have states consistently sought to improve the protective gear and weapons that police officers use, but many states have enacted enhancement statutes that increase the severity of assault charges if the victim of the assault is an on-duty police officer. These laws are an overt recognition that blue lives matter. One solution to the current police brutality problem would be to enact similar enhancement statutes that would increase the severity of charges if the actor was a police officer engaging in police brutality. Another solution would be for the Justice Department to acknowledge the difficulty of local police departments and prosecutors investigating their own officers and use 18 U.S.C.S. § 242, to bring federal charges against officers who have violated a citizen’s civil rights through the use of police brutality. We hope this example Police Brutality essay will provide you with a template or guideline in helping you write your own paper on this topic. You are free to use any information, sources, or topics, titles, or ideas provided in this essay as long as you properly cite the information in your paper and on your reference page. "Police Brutality Essay." Aceyourpaper.com. Student Network Resources Inc, 30 July. 2016. Web. 19 April 2019. Student Network Resources Inc. "Police Brutality Essay." Aceyourpaper.com. 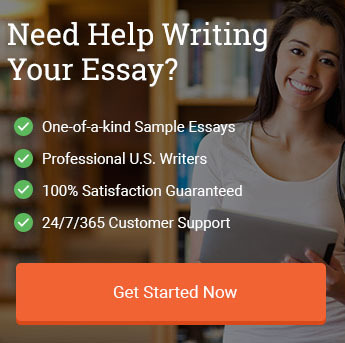 https://www.aceyourpaper.com/essay/police-brutality-essay/ (accessed April 19, 2019).